The Brettanomyces yeast draws out a very funky taste and aroma that reminds one of newly cut grass and an aftertaste of pepper corn and rock candy. The beer is moderately hoppy, a tad bitter and dry but very tasty and refreshing. 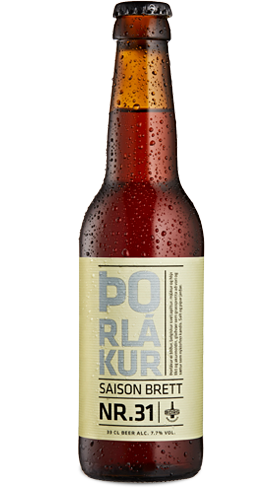 Þorlákur is named after the patron saint of Iceland, Þorlákur Þórhallsson, born in 1133 and canonized by Pope John Paul II in 1984.